Chrome extension that donates to your favorite charities when you goof off. 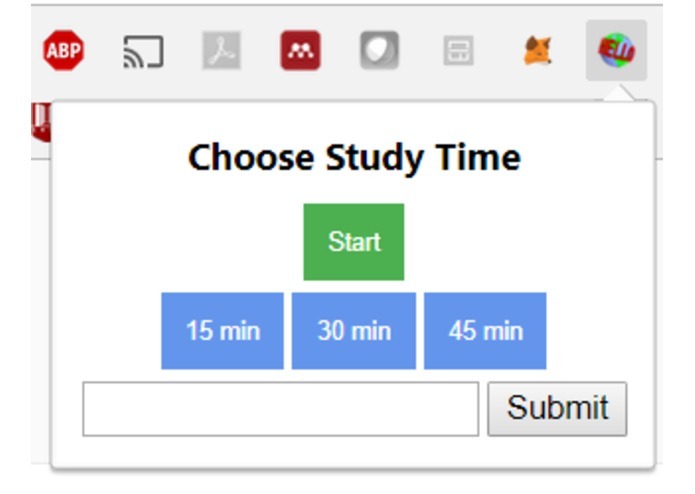 ProcrastiNation runs through a Chome extension, which you can use to start a study session. ProcrastiNation can detect if you open something that isn't related to studying, like Facebook, and will start a timer. After a short amount of time, it will remind you that you're supposed to be studying. If you choose to ignore the alert, ProcrasiNation will then begin to donate your money to charity using the Ethereum blockchain with a previously set up wallet. Blockchain is a difficult area to dive into, and we were frequently unsure about which technologies and services to use. We experimented with writing smart contracts, Infura, Truffle, and Solidity before settling on MetaMask. We were able to create the transaction that triggered after the conditions were met through MetaMask, and were able to create the UI for the chome extension as well. We learned a lot about how blockchain works, and about Ethereum and the concepts of decentralized blockchain distribution. We'd like to make this into a standalone program that users can download and have run discreetly in the background. We'd also like to make it easy for users to link their Ethereum wallet into Procrastination so they can dive right into studying without having to worry about setup. I used HTML, CSS, and JS to create the chrome extension and I helped write the JS to incorporate payments through MetaMask.